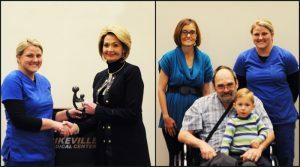 Pikeville Medical Center (PMC) recently recognized its ninth DAISY Award winner, Katie Collins. 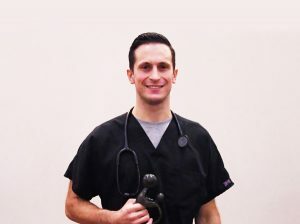 The DAISY Award is a national recognition initiative that recognizes extraordinary nurses for the work they do for patients and families each day. Pikeville Medical Center (PMC) recognized its eighth DAISY Award winner, Emergency Department registered nurse, Gabrielle “Gabby” Bailey. The DAISY Award is a national recognition initiative that recognizes extraordinary nurses for the work they do for patients and families each day. Bailey was honored during a surprise ceremony at the hospital on Dec. 28. 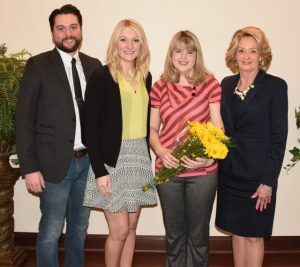 Pikeville Medical Center (PMC) recently recognized its sixth DAISY Award winner, (Megan) Hope Conley. 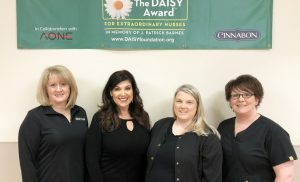 The DAISY Award is a national recognition initiative that recognizes extraordinary nurses for the work they do for patients and families each day. 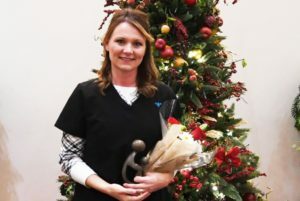 Pikeville Medical Center (PMC) recently recognized its fifth DAISY Award winner, Jennifer Adkins. The DAISY Award is a national initiative that recognizes extraordinary nurses for the work that they do for patients and families each day. PMC Assistant Vice President of Patient Services Jeanette Sexton said she was very proud to have Jennifer be a part of the women’s and children’s staff. 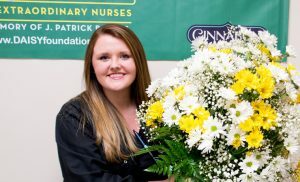 Pikeville Medical Center (PMC) recently recognized its fourth DAISY Award winner, Jessica Anderson. The DAISY Award is a national initiative that recognizes extraordinary nurses for their work. Chief Operating Officer Juanita Deskins presented Anderson with the DAISY Award to thank her for her contributions to PMC and their patients. “Our nurses exemplify care and compassion day in and day out at PMC,” said Deskins. 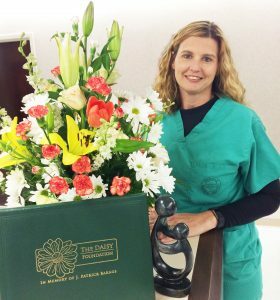 “The DAISY award is a way to give nurses the recognition they deserve for their hard work and contributions to our patients,” she added. 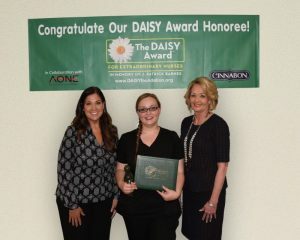 To nominate a nurse for a DAISY Award®, go to www.pikevillehospital.org/nominateanurse/.